Over the years, the Newsroom has gone through various incarnations, and has periodically been the place of choice for Friday evening post-work drinks, given its proximity to my office. However, it’s a wee while since I paid it a visit. Today, which marks the start of Edinburgh’s month of festival hilarity, seemed like a good day to reacquaint myself with the smartly appointed place, not least because it’s one of the beating hearts of the ever-growing Free Fringe. I was joined by the delightful Deborah, who previously quested to the Bread Street Brasserie. Strangely enough, the soup of the day on that occasion was chunky vegetable, and so it was today. Their menu is classic pub grub fare, priced pretty reasonably, and generous in its portion sizes. To follow my chunky soup, I opted for their sandwich of the day, which turned out to be bacon, lettuce and tomato. Deborah opted for their burger, adding cheese as a topping, at no extra cost. They were quite busy, today, not least because of the festival effect. Indeed, we were invited to pop down to their basement bar for some free comedy. We politely declined. The busy bar meant that service was a little slow, but the cheery waitress was full of sincere apologies that far outweighed the minor delay. Once ordered, the dishes arrived promptly. They looked really rather good. 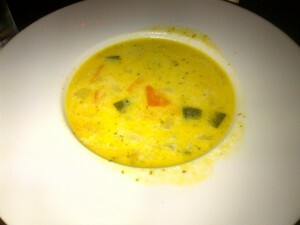 The soup was very creamy, so wouldn’t have been a winner with MJ, but was replete with vegetable chunks. 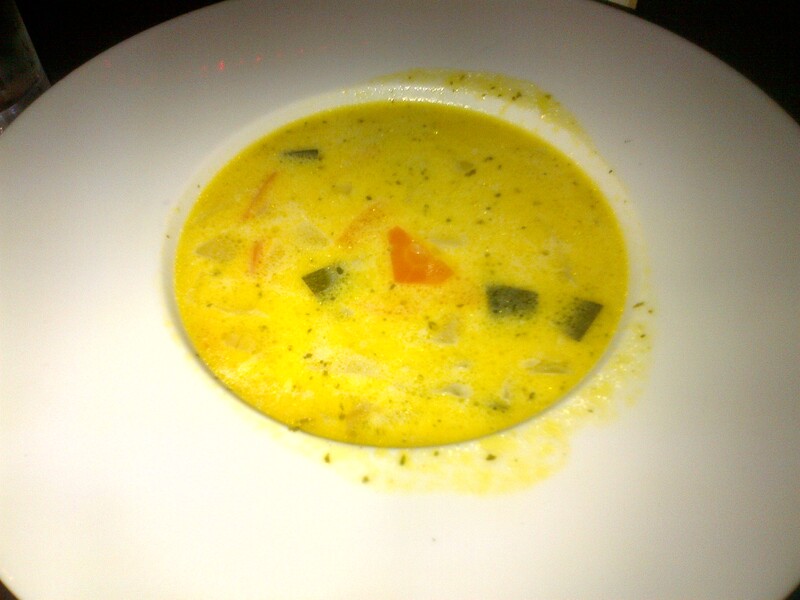 It wasn’t the greatest bowl in the history of soup, but it was fresh and had a good, light flavour. 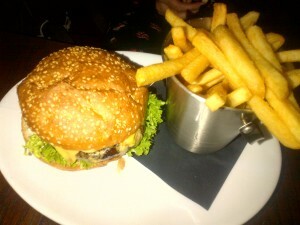 Deborah’s burger looked very good, and proved extremely filling. My sandwich can be described in much the same terms. 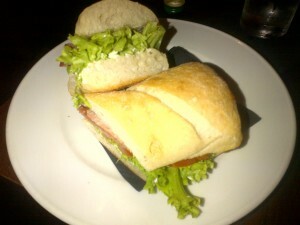 A good, soft ciabatta was filled with crisp salad and salty bacon, with a nice mayonnaise bringing things together. It was good simple sandwich and I was entirely happy with it. So overall, I was somewhat pleasantly surprised by the Newsroom. It serves traditional pub grub options to a better than ordinary standard. It keeps things simple, and focuses on getting those simple things right. As such, it can likely be relied upon to deliver to that level on a regular basis. I’d have no hesitation in popping back next time I’m in the mood for this type of thing.